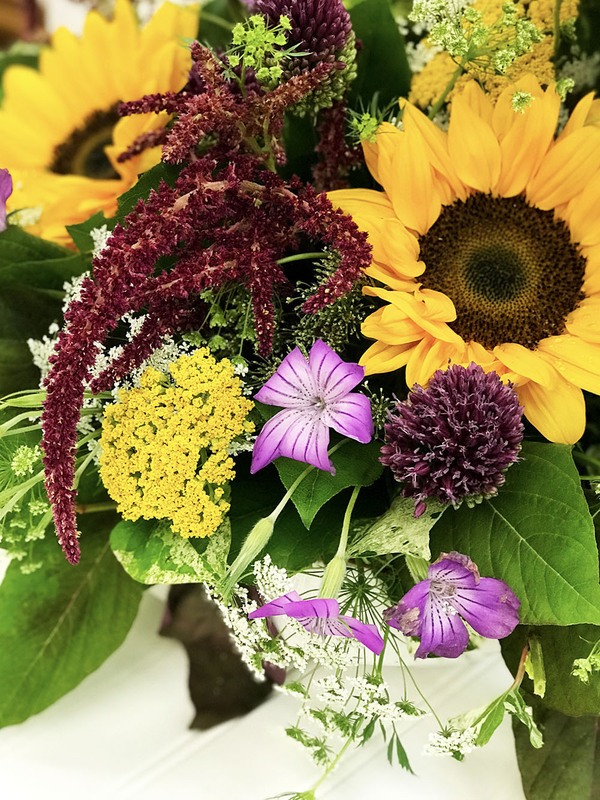 We’re “keeping it funky” with a bright and sunny arrangement designed by one of our customers, Sandra, from Blossom Flower Shops! 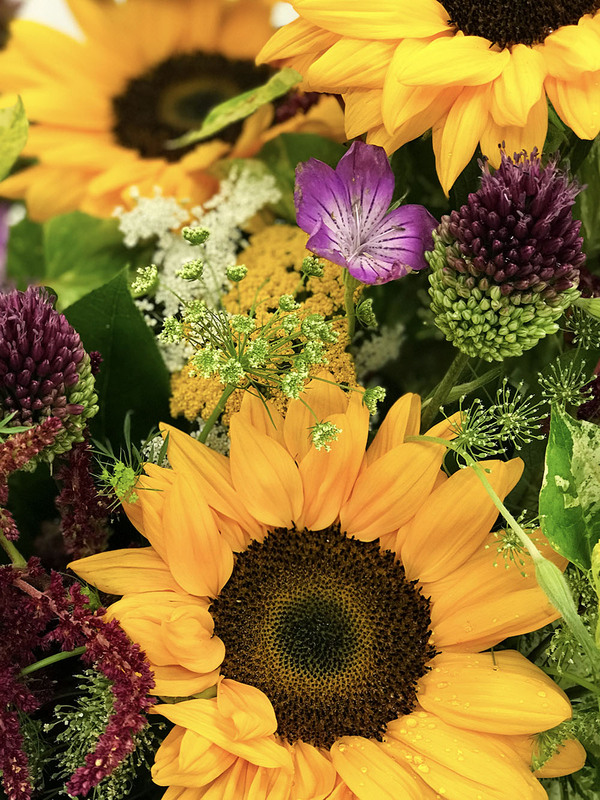 American Flower’s Week starts today, so in honor of this special event, we are highlighting all local product in this week’s recipe. 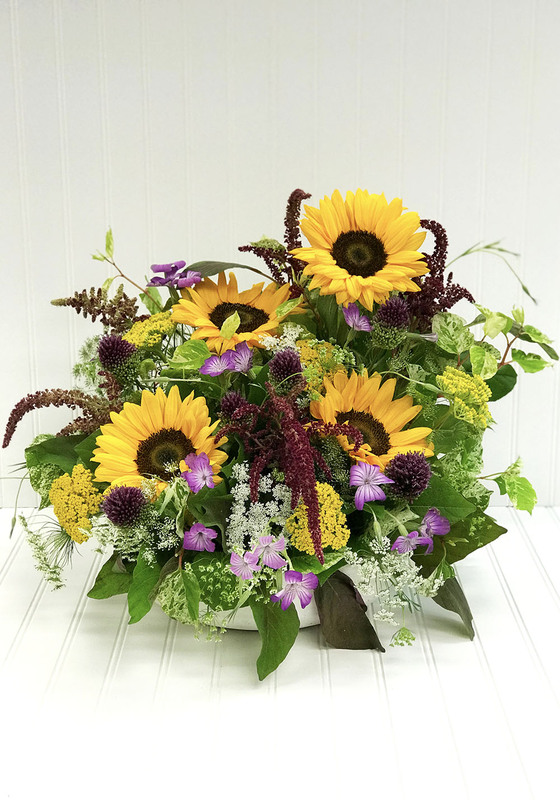 This amazing arrangement was created with a Local Mix Wetpack (21677) from one of our local growers, Cramers Farm. 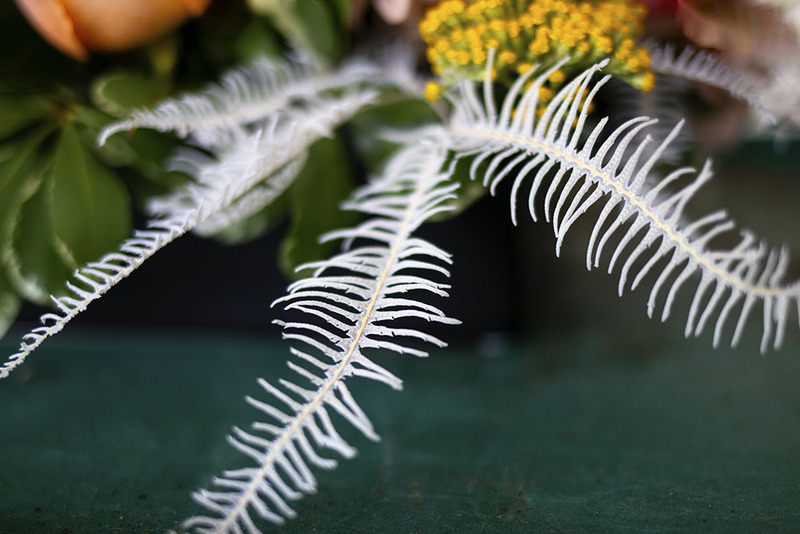 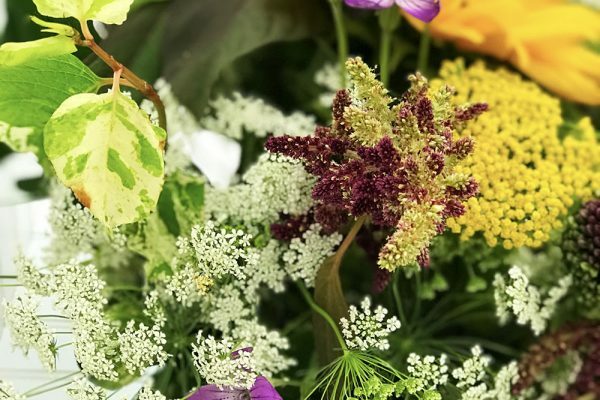 The Wetpack consists of beautiful, vibrant product that makes any arrangement or bouquet look like no other! 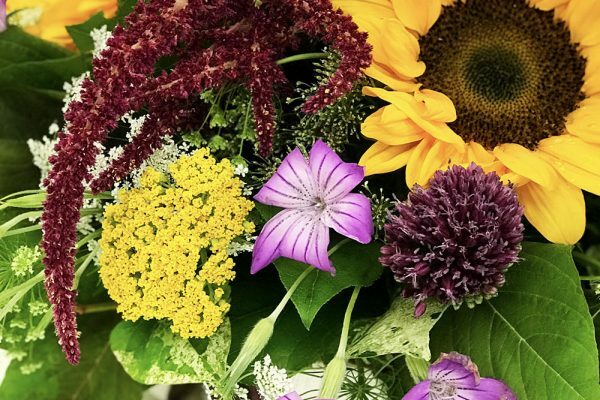 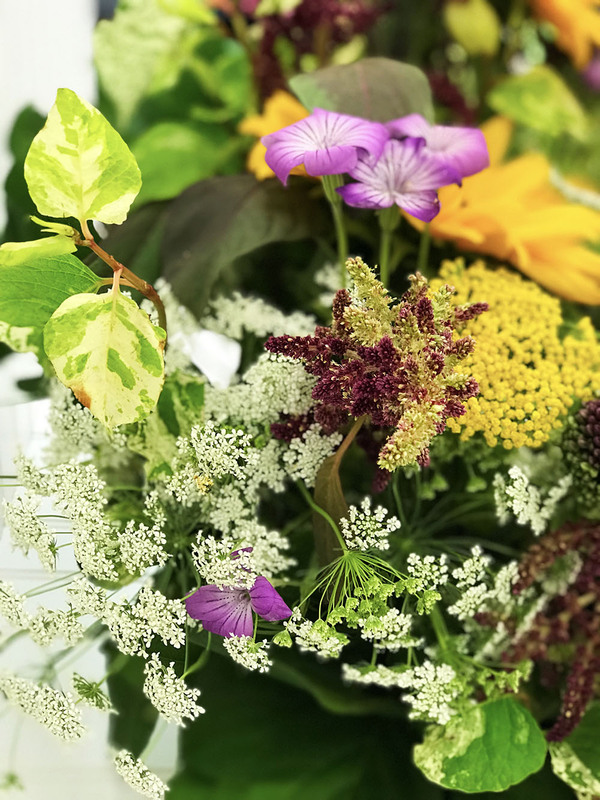 The mini sunflower, purple allium drumstick, gold yarrow and copperhead amaranthus, create the perfect mix of color and texture. 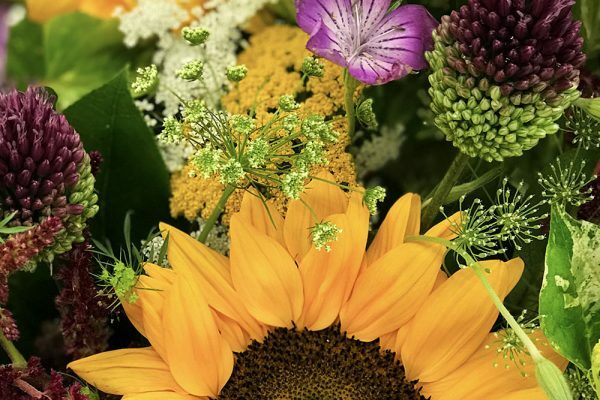 For more information on American Flowers Week click here.